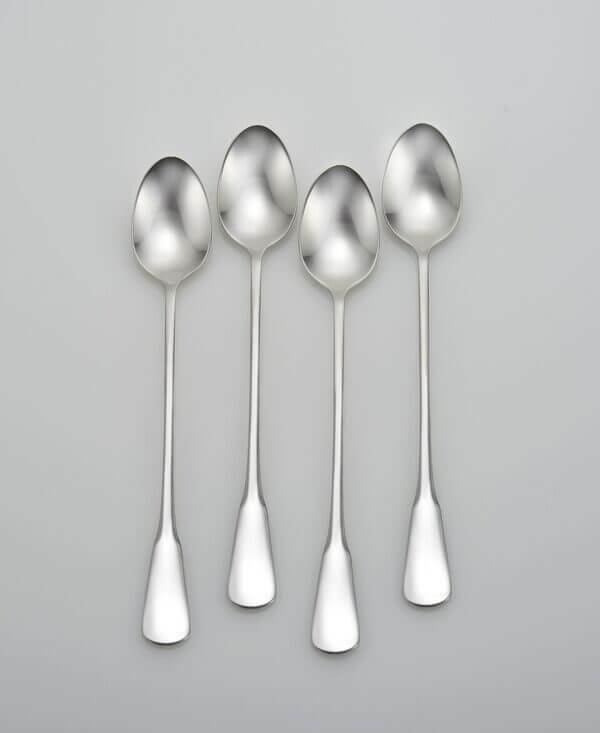 Limited Time Offer: Buy one Iced Teaspoon Set of 4 get one Free! Love Susanna – simply beautiful. 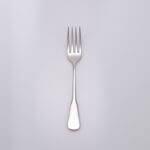 Yet, do agree with Ron – set needs more heft and dinner forks need to be longer. 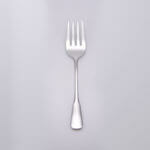 The knives are far longer, but forks too short – look & feel like luncheon forks. They slip out of our fingers. Do love the look of this set. 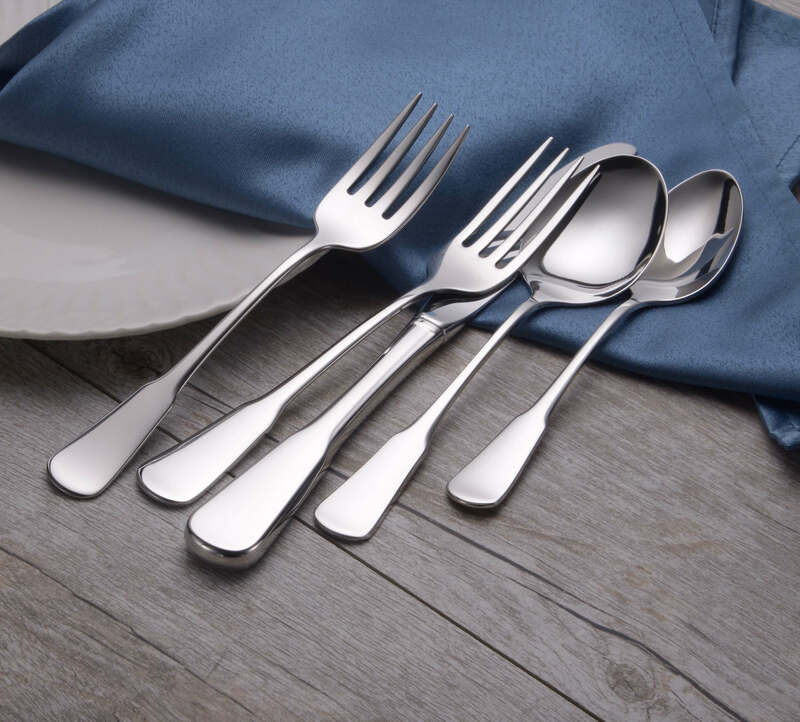 Perhaps you could add longer forks to your future sets and we could buy them, too. 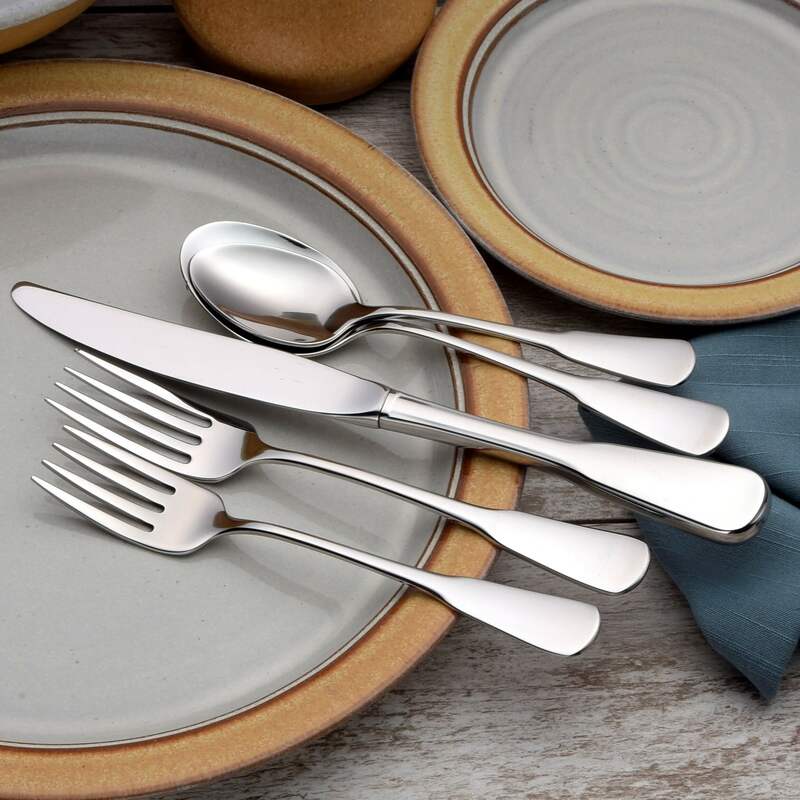 Our “good” tableware is Williamsburg’s Royal Scroll in stainless steel. We wanted an everyday set that would reflect the traditional ambience of our Georgian home a few miles from Colonial Williamsburg. The 19th century look in Susanna’s basic design was an excellent choice at a much better price than others we considered. The weight, brilliant polish and comfortable angles are what we desired. If we have any considerations, we would have preferred a little more heft and a shorter salad fork or longer dinner fork. The two forks are only 1/2″ different in length and our Williamsburg dinner fork is an inch-and-a-quarter longer than the salad fork. Minor issues, though. We are satisfied with the quality, ease of purchase, prompt delivery and a very good price and we were pleased to find.those qualities in a non-imported product. We’ll get a couple more dinner forks and knives so we’ll have extras when the dishwasher’s full. I am very happy to have purchased something made in the USA. 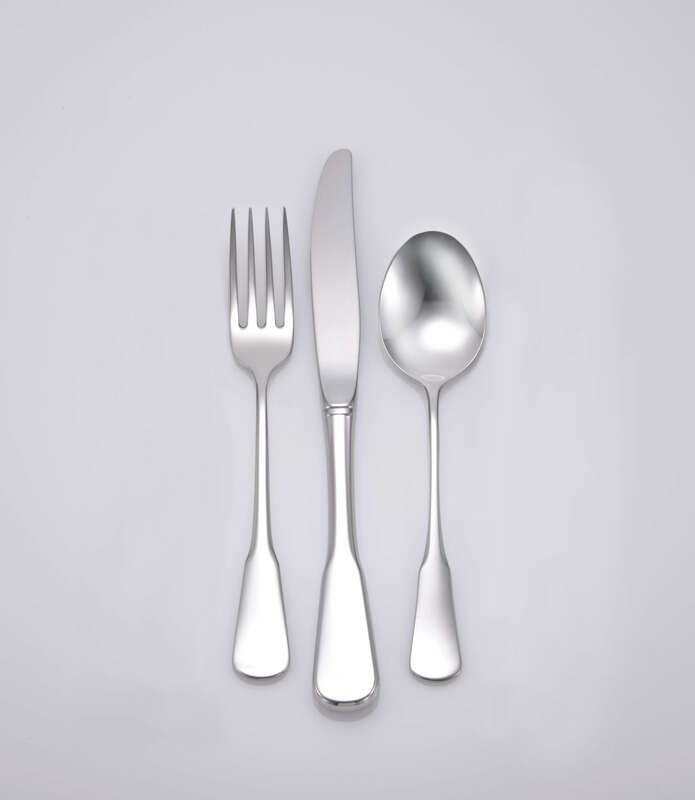 This flatware is similar to the size of flatware I used to own. 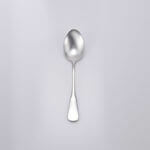 It seems as though most of the flatware you purchase is too large. The forks are more like pitchforks and the spoons are more like snow shovels. This set size is perfect. It is comfortable in the hand, not too large, and it is portion appropriate. It is durable and sturdy– I love it! 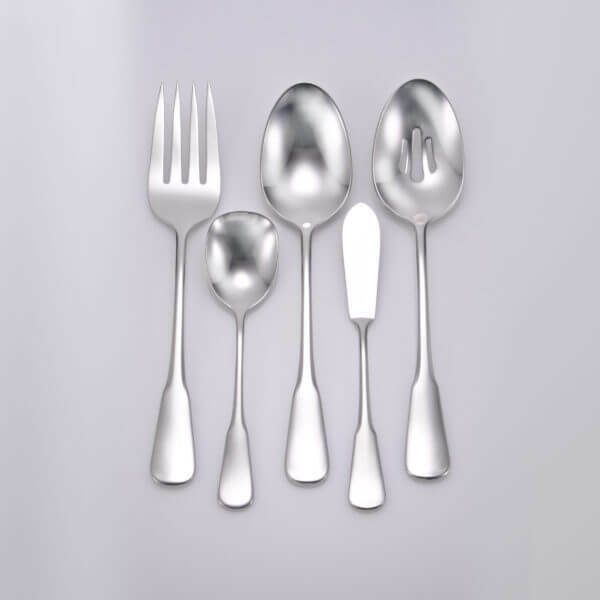 This flatware is absolutely impeccable. Nice design and finish. 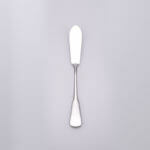 This is the best flatware I have ever seen. One hundred times better than the China junk. Wish you you make a Susanna Ladle for the collection. I’d bet you would get a lot more customers if there was a commercial on TV. The handle matches my Oneida flatware perfectly. The blade is a bit longer but overall I’m very happy I was able to replace my lost Oneida pieces. 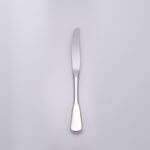 This flatware is really exquisite,. 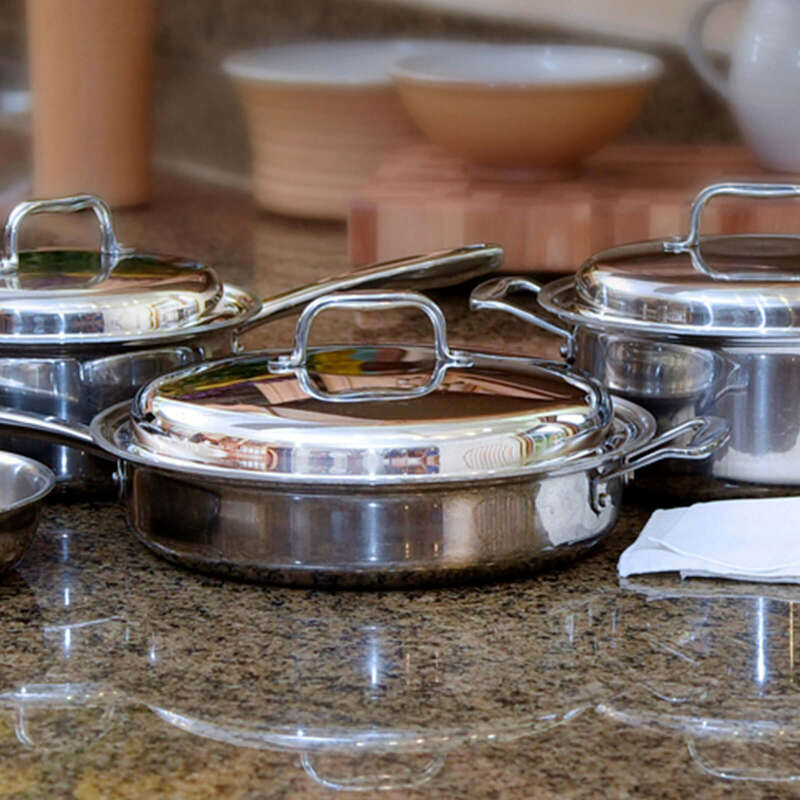 I had been using a heavy and large sized set of flatware for 15 years, and every time I picked up a dinner fork or spoon, it felt clumsy, and I was very aware of the weight. The utensils reminded me of trying to eat with a shovel. 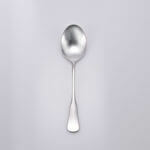 I am aware that many people prefer large and heavy spoons and forks, which is very common these days in the European style flatware … but I don’t. 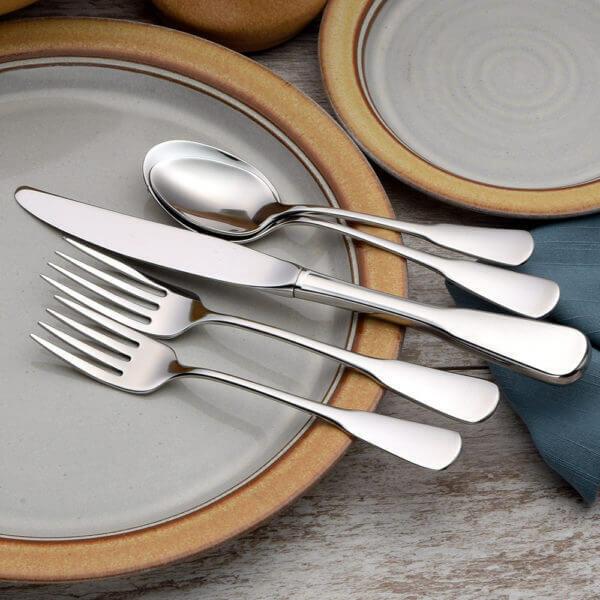 Because there was nothing wrong with my flatware, I just could not come to terms with ditching the entire set and looking for something that was made well and more comfortable to use … finally I surrendered. I looked and read and sized everything I could find online and in stores, for over a month. There were no knowledgeable sales people anywhere! And anything available was either made somewhere in Asia, or less than the 18/10 standard composition. Then I became aware of Liberty Flatware (THE ONLY COMPANY IN THE ENTIRE COUNTRY THAT CAN PROVIDE FLATWARE THAT IS MADE IN AMERICA) with American steel, using a green and environmentally safe process. On top of that, they provide outstanding customer service who will listen to what you are looking for, and direct you to which patterns will meet your desires in terms of size, weight, and design. 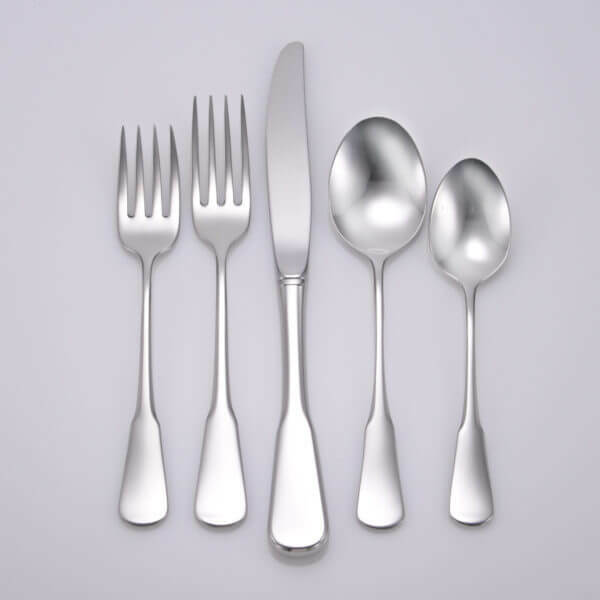 I wanted a set that was sized small like the original old traditional American flatware. I wanted something light and delicate, but strong, and ofcourse well made … and certainly 18/10. No problem … no problem … and no problem. This set is light, delicate, and so delightful to use. 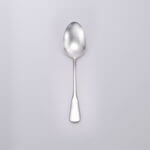 I was looking for USA made silverware and I found Liberty Tabletop. 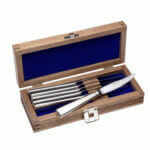 I was very impressed with the Susanna 45 piece set! Since I am now single and divorced, I have this set all for myself! From the moment I ordered it, shipping was fast. I am amazed. Very sturdy and it will last forever! 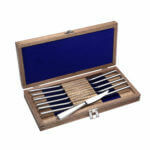 My Susanna 65 piece set is beautiful. The pieces are well balanced, and while some may consider them on the small side, I find they are the perfect size. They are of substantial weight and well made. I also ordered extra pieces that I am equally happy with. 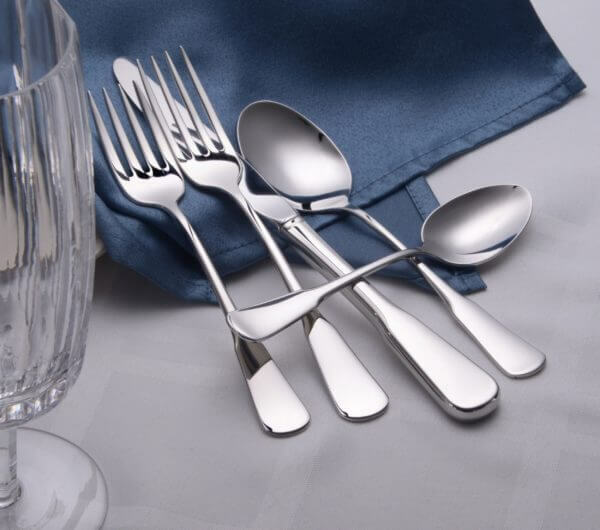 Customer service was great and my flatware arrived within a few days of ordering. I will not hesitate to recommend any of your products to my friends. I brought my Mikasa (Antique Orchard pattern) place setting with me to the Liberty factory in Oneida and selected the Susanna pattern. It’s what worked the best. I bought a 45 piece setting plus iced tea and soup spoons, and extra hostess pieces. 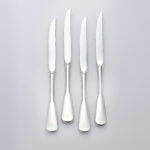 A few months later, I purchased four more of the basic place setting pieces to give me service for twelve. I’ve taken to washing all the pieces by hand because they spot in the dishwasher. This is not a shortcoming of the flatware, but is a problem with my wellwater, despite having a whole house water softener AND whole house green filter. Thankfully, it’s just me and my husband. If we weren’t downsizing to move out of New York in the next few years, I’d indulge in some of the other patterns for use in luncheons or special occasions. As for the Susanna pattern, it is a smaller scale than the Gotham pattern I had prior to this. 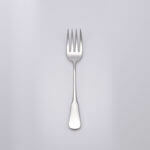 The dinner fork is about the size of the salad fork in my former set. That took a little getting used to, but I like it. If this pattern is not to your liking, you’ll find something from Liberty Tabletop that is. I’m sure you’ll be totally satisfied with the quality of whatever you buy. I am just adding to my review of three months ago to say that the Susanna has continued to be both beautiful, practical, and versatile. I use it daily and put it in the dishwasher at night. A simple pattern, it coordinates well with the colonial style of my place settings and the sleek lines of my contemporary apartment. Susanna is a well-designed pattern, I think. Definitely recommended. As a previous resident of Oneida county, NY, I’ve followed the fortunes of the Oneida Company for years, and was not a happy camper when they moved overseas. But I didn’t need flatware, so it didn’t matter. Fast forward to 2017–guess what–I’m furnishing a new apartment from scratch, and now I need a new set of stainless. I’ve said right along that if I ever needed stainless, I would buy it from Liberty Tabletop. Not only are they located in a “home place” for me, but I make a special effort to buy products made in the U.S.A. I decided I wanted a simple, traditional colonial pattern, and Susanna fit the bill perfectly. (Reminds me a little of Oneida’s old Paul Revere, Patrick Henry, or Classic Shell without the shell.) I ordered the 45-piece set late at night on Oct. 14. It arrived the morning of Oct. 18, well-packaged and with all pieces in perfect condition. There was no residue on the pieces, although the insert said I might see some. I appreciated the green paper explaining the environmental friendliness of the product. 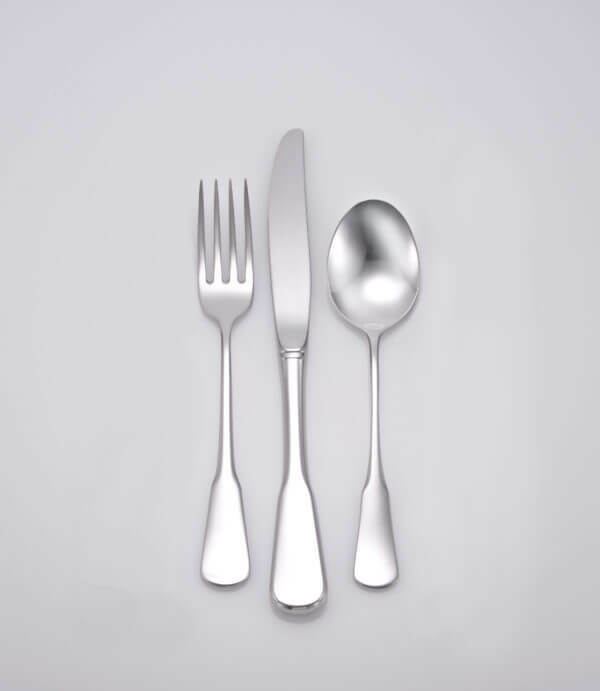 This is standard-sized flatware…what I would call a “normal” size, like you would see anywhere. In other words, not over-sized. It is a very, very nice quality, and a timeless, versatile design that I expect to use for the rest of my life. I have washed it all by hand, and what I’ve used with meals today will go in the dishwasher tonight. I sure do enjoy seeing that “Sherrill 18/10 USA” stamped on the back of the pieces, and “Sherrill USA” on the knives. The reasonable price was a big plus, too. I am very happy with my new flatware! The quality is very impressive,comfortable to use and pretty!Price was very reasonable and received the order in just a few days! Only just started using this, but I’ve fallen in love already. It’s the perfect size and slightly heavy, so it’s extremely useful at the table. The construction leads me to believe my kids will be using this long after I’m gone. Will be back soon for more! Nice finish. Simple design. Hope to use them for years to come. 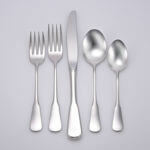 I PURCHASED THE 45 PC SET IN THE SUSANNA PATTERN TO REPLACE MY EVERYDAY FLATWARE THAT WAS ABOUT 35 YEARS OLD. PRIOR TO MY PURCHASE I ORDERED SAMPLES OF VARYING WEIGHTS AND THIS PATTERN WAS EXACTLY WHAT I WANTED. 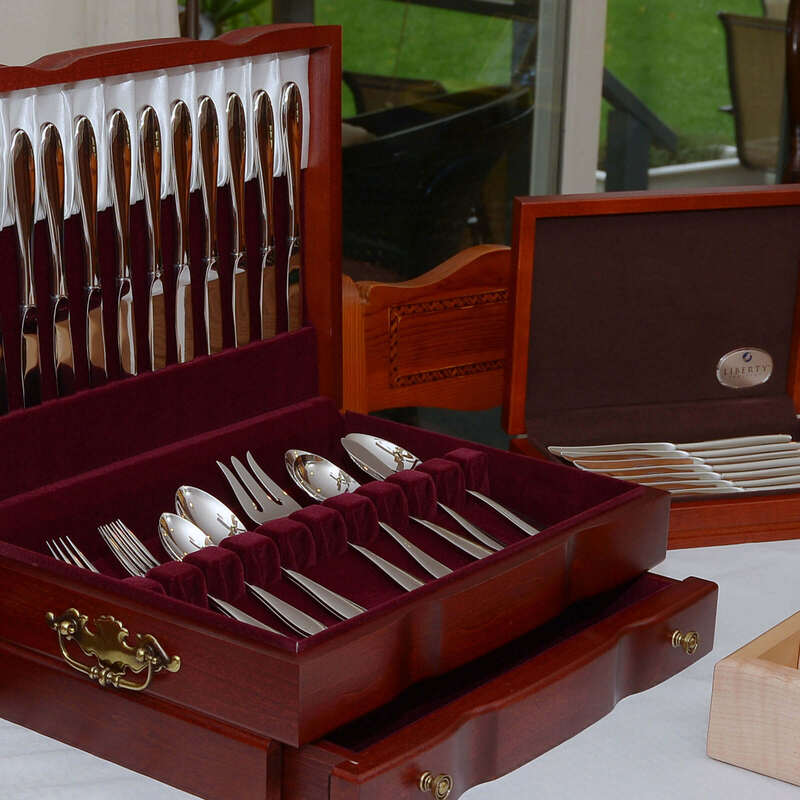 IT WAS FINISHED TO PERFECTION & WAS DELIVERED IN RECORD TIME AS AN ADDED BONUS ALL OF THESE PIECES ARE EASILY USED BY MY MOTHER WHO HAS DIFFICULTY USING STANDARD FLATWARE DUE TO ARTHRITIS. ANOTHER FACTOR IN MY DECISION TO PURCHASE FROM LIBERTY WAS THE FACT THAT IT IS MADE HERE IN THE U.S.A. SHOULD ADDITIONAL SERVING PIECES BE MADE AVAILABLE IN THIS PATTERN SUCH AS GRAVY LADLE, BOULLION SPOONS, COCKTAIL FORKS, ETC. I WOULD PURCHASE. Delighted with Susanna. She and her peers join us every night for supper. She likes the dishwasher too, and steps out clean and shiny: never any rust. We love that she came from an American made company. Keep ’em comin’, Liberty! Thank you. Love the product! The flatware is beautiful and comfortable to hold — not too heavy or too light. 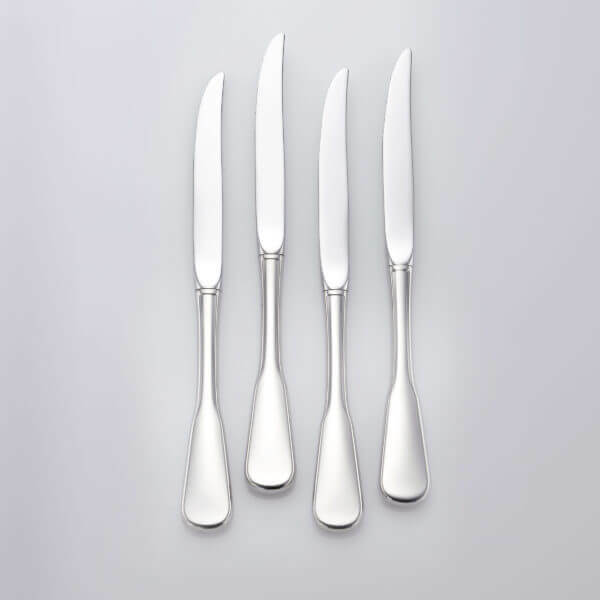 This is very nice flatware. 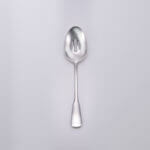 I just ordered iced tea spoons and steak knives, which I was delighted to find in the same pattern. Now if they would just make cocktail forks!!!!! Anyone remember cocktail forks? Very handy for getting olives out of tight spaces, shrimp cocktail, etc. 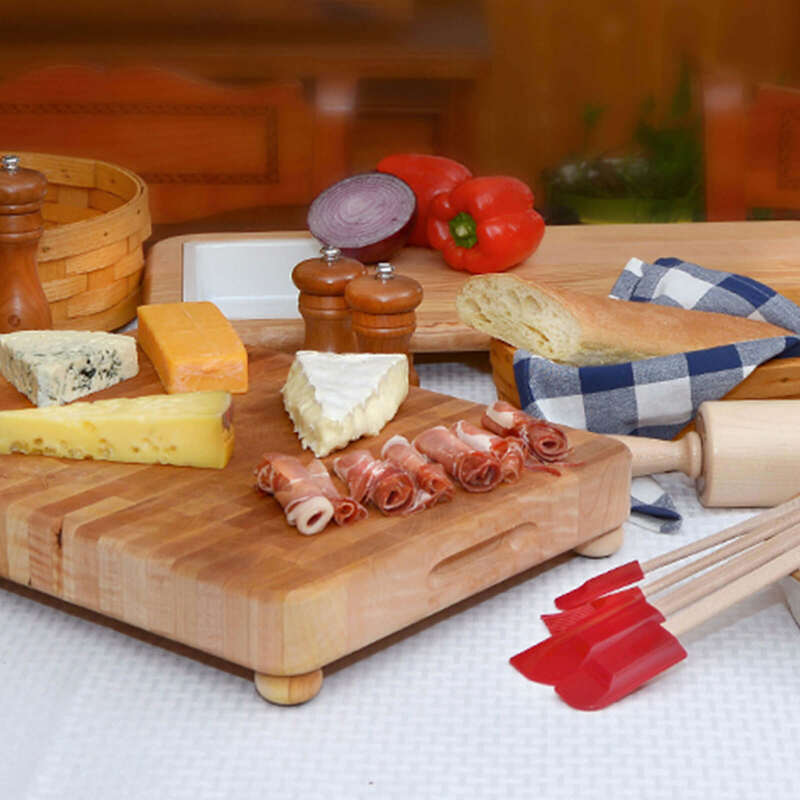 We chose this classic design because it’s great for both daily use and special occasions. We like the way it handles and the weight of the pieces. Beautiful flatware, and so far it survives dishwasher washing well. Also, it means a lot to us to have environmentally more sustainable processes that produce good quality goods in the USA. Hopefully, the workers are paid well and have excellent benefits. These are the criteria my wife and I look for in buying important purchases such as flatware. Thank you! 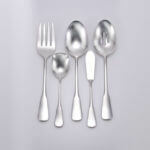 This flatware is beautiful! Great mirror finish, perfect weight, and easy to hold. 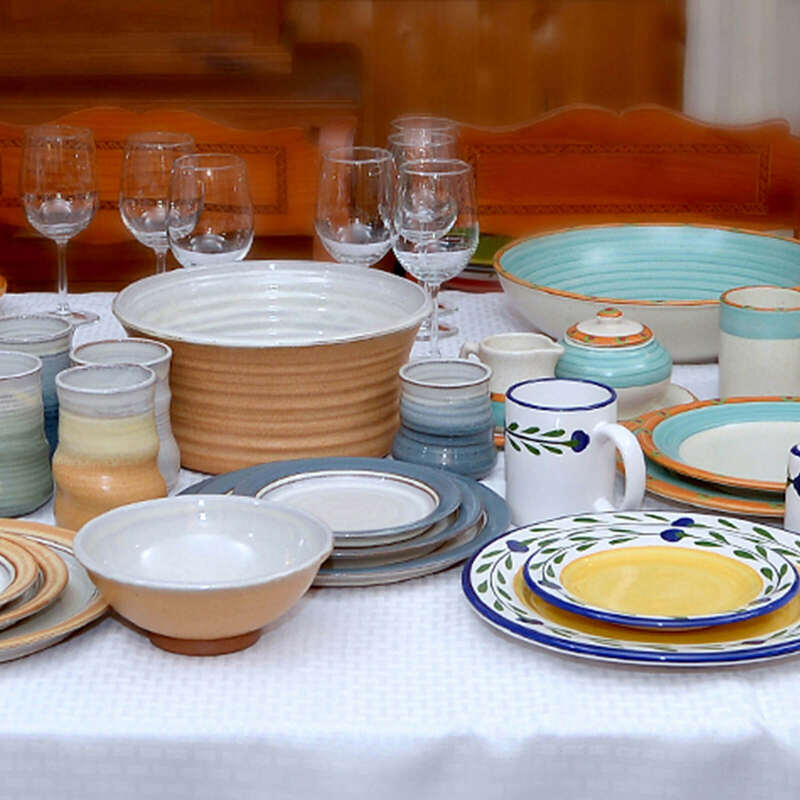 The design is classic and can be used for casual, every day meals or for special occasions. Best part, it is made in the USA! I will definitely be referring friends and family to you Liberty Tabletop! My wife was very happy with her Christmas gift. Large enough for the whole family get togethers. 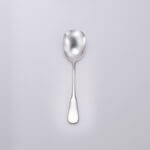 Maybe it is there somewhere but I could never find it, but it would be nice if you offered a soup ladle as an option. Very minor suggestion. 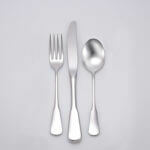 excellent flatware, washes great in dishwasher, so comfortable to hold.Great product. Very lovely, shinny look but light weight. I plan to return and purchase a heavier flatware. I am looking at the Lexington. It will cost more but but I like buying made in America knowing exactly the type of metal used and employing fellow Americans. I will let you know the ease of return and what I ended up purchasing. This flatware is exactly what I wanted. It feels substantial and nicely contoured without being exaggerated in size or weight. The 18/10 steel has a rich luster, and the classic design along with the highly polished finish is elegant enough for any occasion. This flatware is exactly what I wanted. It feels substantial and nicely contoured without being exaggerated in size or weight. The 18/10 steel has a rich luster, and the classic design along with the highly polished finished is elegant enough for any occasion. Beautiful mirror finish and good quality. The set was lighter than I anticipated, but the heavier sets are out of my price range. This is a nice American made product.